Here we go. Fresh off of a week in Austin (which I'll be recapping this week, get your stomachs ready to rumbleeeee! ), I am back at school and ready to start my very last quarter of college. Exclamation point, exclamation point, exclamation point times a squillion. Watching :: SO. MUCH. I was getting the bang for my (roommate's) (mother's) Netflix buck this month. Unbreakable Kimmy Schmidt, FRIENDS, Broad City, I watched it all. One of my favorite Chinese soap operas was also on Netflix, so there went 9 hours of my life never to be seen again. Eating :: non-stop. After an all-out eating spree in Austin, I promised myself a week of detoxing once I got home. Tacos and Taco Bells and margaritas and milkshakes later, I laugh in my own face. Shopping :: for a bathing suit! About to become a total cliche and fall victim to one of those Triangl bikinis. Or, more practically, Target. 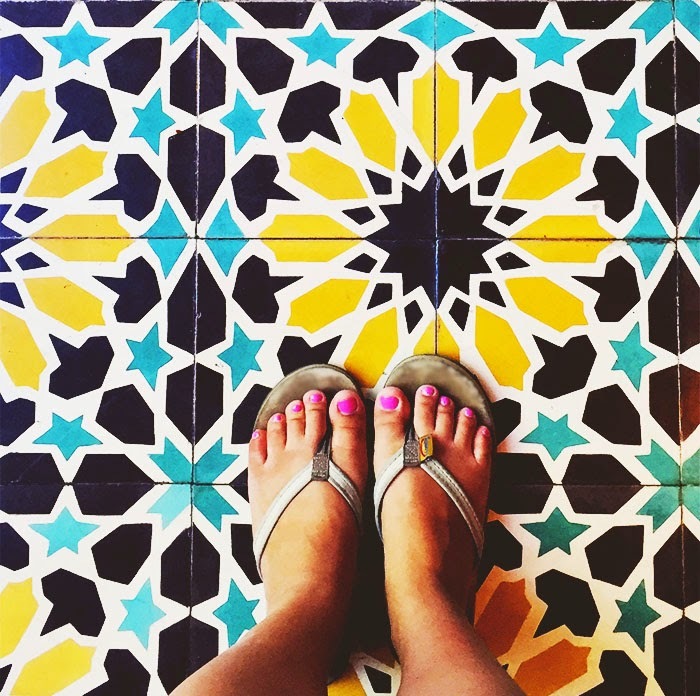 Planning :: Our Europe itinerary. T-2.5 months! Reading :: Well, I just today finished Yes, Please. Jazz hands and finger snaps! Up next: Provence, 1970. Also, this past week I was digging back into my GChat archives that go all the way back into 2006, when I was a wee middle schooler. Cringed the whole way through. Melodrama was the name of my game! 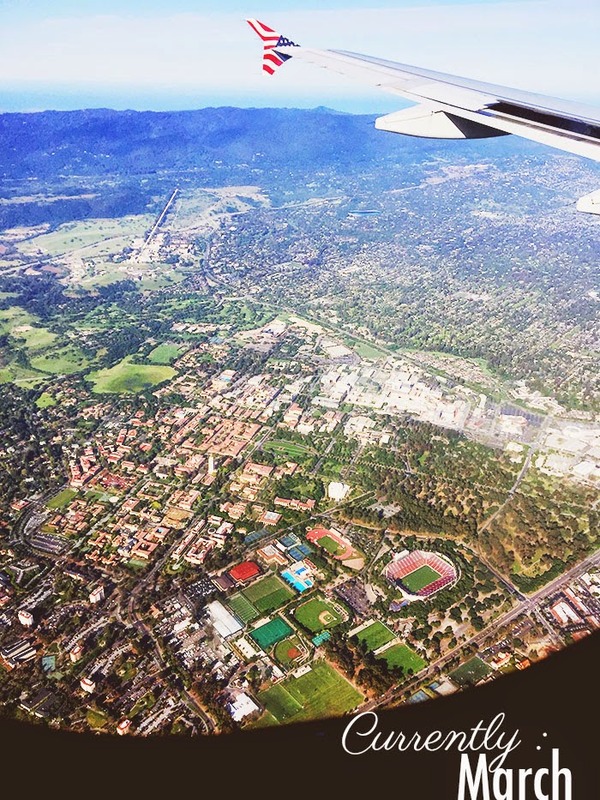 Enjoying :: days spent out in the sun watching my friends play softball, the feeling of being on an airplane and on the go again (um, and it was so incredible flying over Stanford! ), hanging out with friends and basking in nostalgia and 'remember whens'. Waiting :: to see if this last batch of classes will be a solid academic end to my undergraduate career. TBD. Feeling :: very, very, VERY bittersweet. Anything can trigger the tears at this point. Frat houses wrapped in twinkle lights, Senior Spring champagne popped, talk of beginning the packing process slow and steady, shopping for graduation dresses, imagining those last few days here at this paradise. Ball of emotions. Wishing :: for the next two and a half months to be filled with the best memories of all. When Ohio State switched to Semesters I HATED life, quarters were the business...until it was time for graduation and I was thankful for 15 weeks of bliss before I was forced into the real world of business pants erryday. That food looks delicious -- detoxes are for shmucks, keep the food coming! mmm food. and tacos. also, forever 21 has a VERY similar triangl swimsuit for like 1/4th the price. !!! one quarter left!!! Broad City is so funny! I can't wait for a new season. I just binge watched Broad City this weekend too! I can't believe it took me this long to watch it. 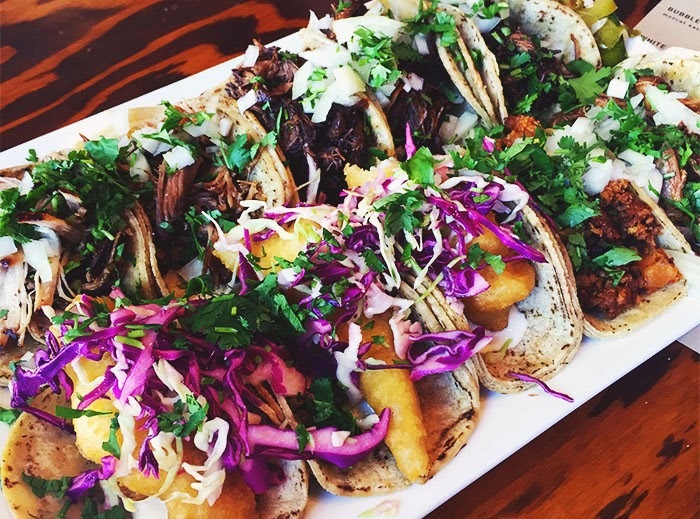 Those tacos look absolutely delicious! Jazz hands for finishing the book haha. And the food looks all kinds of delicious so I would be eating non-stop as well! Those bittersweet feelings never really go away. I'll always feel nostalgic about my college years. Also, Unbreakable Kimmy Schmidt...just finished the first episode. Hilarious. 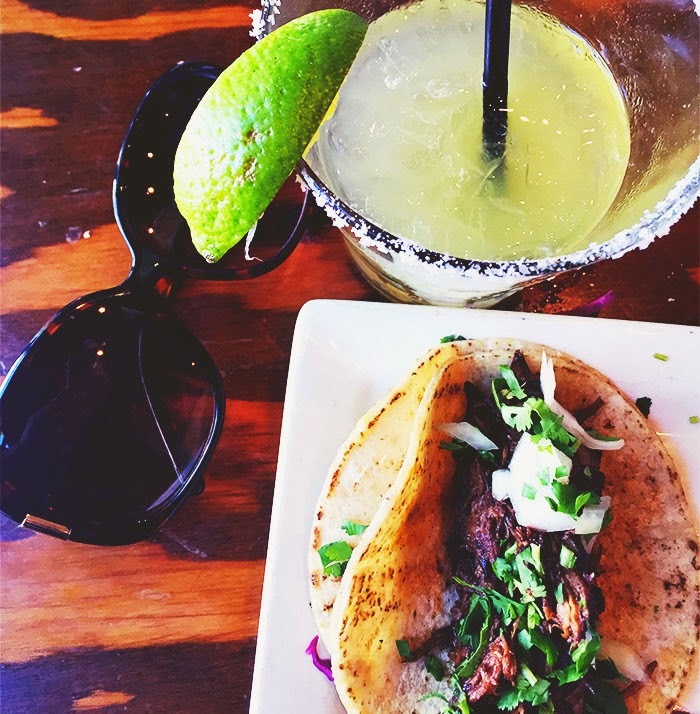 Those tacos (and the margarita!) look delicious! U breakable kimmy schmit!! Love that!